We’re on to day 5 of the 2018 Asian Games in Jakarta, where swimmers are getting ready for another prelims session. This morning, the women will race in the 50 breast, 800 free, and 4×100 medley relay. The men will compete in the 50 fly, 100 free, and 200 back. 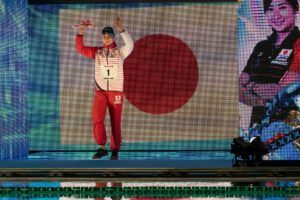 Some big names are slated to swim in the morning session, including Asian Record holders Joseph Schooling (50 fly) and Ryosuke Irie (200 back). 16-year-old phenom Li Bingjie (800 free) will race in the fast heat tonight. We’ll also see Olympians Satomi Suzuki and Yu Hexin in prelims. 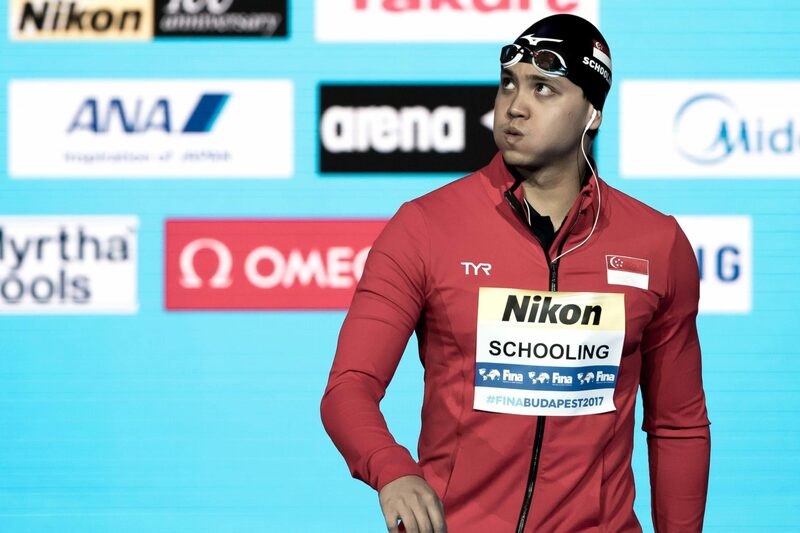 Asian record holder Joseph Schooling, representing Singapore, out-touched China’s Weng Peng by .05, becoming top qualifier heading into finals in 23.84 (Peng was 23.89). Kazakhstan’s 18-year-old 2017 Worlds qualifier Adilbek Mussin is third in 23.91, followed by Japan’s Shunichi Nakao in 23.98. Olympian Virdhawal Khade, of India, is the fifth qualifier in 24.09. China’s Rio 100 fly finalist Li Zhuhao is sixth in 24.13, with Japan’s multi-time Olympian Yuki Kobori seventh in 24.17. 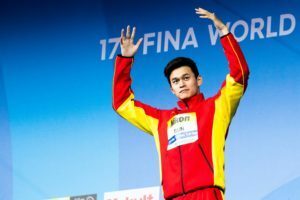 Vietnam’s backstroke specialist Nguyen Paul Le rounds out the final in 24.21. 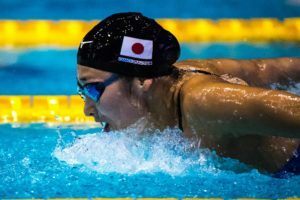 Japan’s Satomi Suzuki took down a meet record that has been in place for eight years. She went 31.02, beating out China’s second-place qualifier Feng Yunyang, who went 21.16. Another tenth behind was Japanese Olympian Miho Teramura in 31.26. In fourth was China’s Suo Ran in 31.38, and behind her, Malaysian breaststroke specialist Jinq En Phee in 31.46. In sixth was Singapore’s Roanne Ho in 31.59, followed by Taiwanese Olympian (in the 50 free) Peiwun Lin in 31.77. Rounding out the final will be Kazakhstan’s Adelaida Pchelintseva in 31.94. Chinese and Jordanian Olympians Yu Hexin and Khader Baqlah tied for the top qualifying spot in 49.30. Just behind them was Japan’s Shinri Shioura in 49.32. Dropping off a bit to 4th was Sri Lankan Olympian Matthew Abeysinghe in 49.48, and then just behind him was Japan’s Hou Yujie in 49.52. In seventh was Korean Worlds team member Jaehoon Yang in 49.57, and rounding out the final is Kazakhstani Worlds team member Adil Kaskabay in 49.72. China’s Li Guangyuan was the only man under 2:00 this morning, followed by countryman and 50 and 100 back winner Xu Jiayu in 2:00.53. Asian record holder Ryosuke Irie, who is yet to win a backstroke race thanks to Jiayu, was third in 2:00.53. South Korea’s Lee Juho is the fourth qualifier in 2:01.88, followed by Japan’s Keita Sunama in 2:02.64. The versatile Zhen Wen Quah, who represents Singapore and swim’s collegiately for Cal, qualified sixth in 2:02.68. 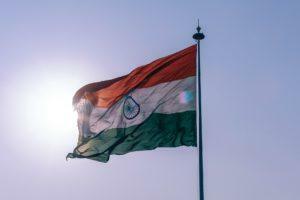 India’s Srihari Nataraj was the final swimmer under 2:03, taking the No. 7 spot in 2:02.97. Singapore’s Francis Fong nabbed the last finals spot in 2:03.35. China ran away with heat 1, and it’s shaping up to be a good battle between them and Japan for the gold. The Korean and Singaporean should also battle for a podium spot, finishing in 4:10.94 and 4:12.73 respectively. Hong Kong was fifth in 4:15.94, Indonesia was sixth in 4:18.94, and the team from Thailand took seventh in 4:21.61. The Macanese team just missed setting a national record, which is 4:25.88, going 4:26.07.
he swam 23.84. Expecting a 23 low or 22 high in the final. He showed all his cards in the prelims. He’ll be the same or slower in finals.